I really love homemade pasta, but I have to confess I don't make it that often these days. However, there is a quick and easy type of "drop noodle" (or "drop dumpling") that anyone of Northern Germanic, Austrian or Hungarian descent will know about, but many of the rest of us have more recently discovered. It's called spaetzle or spätzle or spätzli in German (pronounced shpet′slē), and galuska or nokedli in Hungarian. Similar drop noodles are called knöpfle or knödel in Southern Germany and Austria; and knöpfli in Switzerland. (Some of these words remind me of the Italian dumpling/pasta gnocchi, and, indeed, spaetzli are made in Northern Italy.) The German word is literally translated from German as "little sparrow". 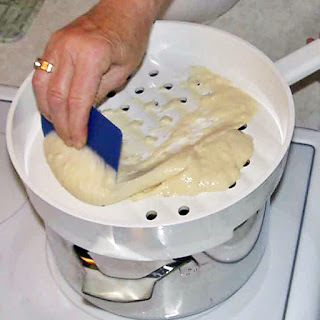 You just mix up a batter, let it rest a bit and then scrape the batter (which is like a thick pancake batter) through some sort of device with holes so that it drops into boiling water like little beads. It cooks in a very short time. You drain it and serve it like any pasta, really. Spaetzle are usually served with gravies or cheesey, creamy sauces, or cooked in browned butter, but modern chefs are experimenting with many innovative ways of serving it. 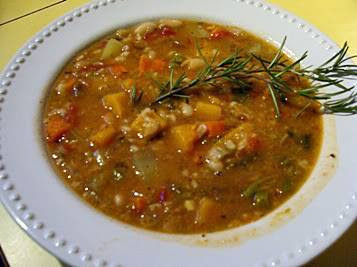 It is mixed with cooked greens, for instance, or herbs are added to the batter, or it is served with tomato sauce. A favorite German treatment for spaetzle is kaesesplaetzle, which are spaetzle mixed with cream and grilled chopped bacon, then topped with cheese and more bacon, and baked for half an hour or so. I'll have to work on a vegan version of that! But, you see, it can easily be used instead of macaroni or other pasta in casseroles. 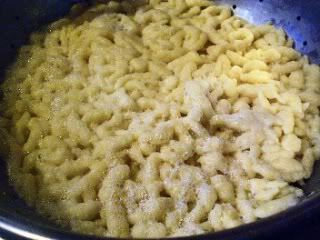 Spaetzle seems to be all the rage just now-- like many other cheap, peasant foods of the past. The original version is made with white flour and lots of eggs. 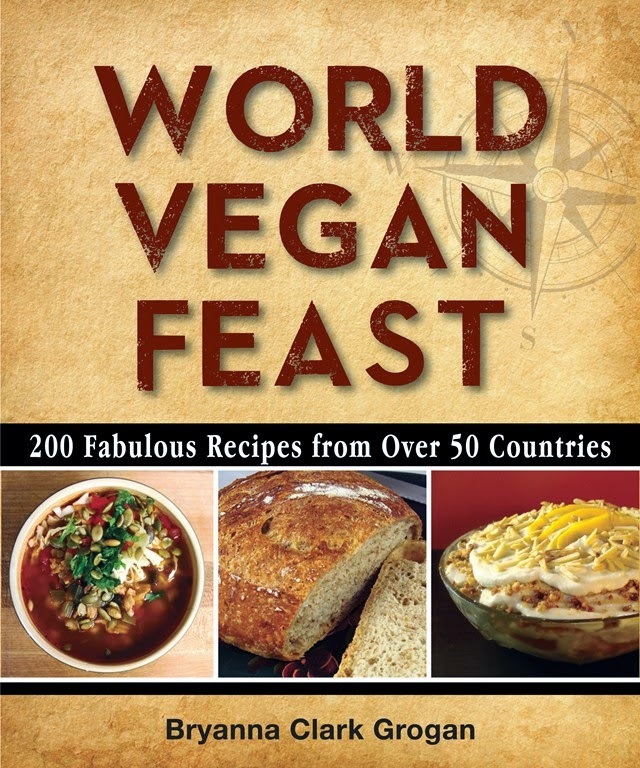 I devised a vegan version for the final issue of my newsletter, the Vegan Feast. We liked it fine, but yesterday I wanted to make a whole grain version that wasn't heavy. 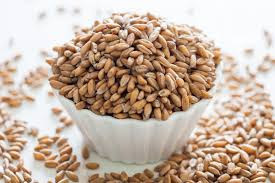 White whole wheat flour came to mind, because it is lighter in color and lighter in taste than the ordinary whole wheat flour made from red wheat. Generally speaking, it is best to use an all-purpose or a bread flour for these noodles, because you need gluten to give them some "bite" (especially with no egg to hold them together). However, I only had white whole wheat PASTRY flour in my cupboard. That didn't deter me, however, and there is an option in the recipe for using that type of flour, with a little addition. Chickpea flour (or soy flour) provides the protein and color of eggs, and more whole grain goodness. When I first made this recipe, I didn't have a spaetzle maker, so I improvised. 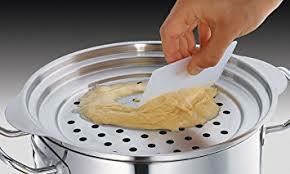 Now I have two different devices, and I also have a food mill and a potato ricer, which can be used to make spaetzle that are more like long noodles (see below). Below, I'll post pictures and sources of various devices-- most are inexpensive. IF YOU HAVE NEVER MADE THESE BEFORE, SOME VISUALS ARE USEFUL. TAKE A LOOK (These pics are not of vegan spaetzle, but it works the same). 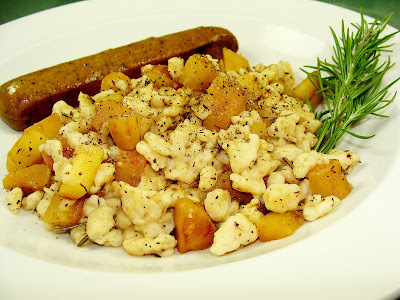 The vegan recipe for basic spaetzle is at the end of the post. Here's a page with pictures of making spaetzle in the "Spaetzle hex" (or "Wizard"). 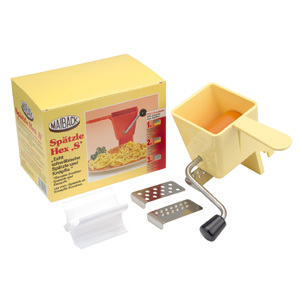 Here's a youtube video of making them with a sliding spaetzle maker. My spaetzle were little short ones, but this video shows how you can make long noodles with the spaetzle press (this one makes s-shaped noodles.) You can use a potato ricer instead. This video shows you how to make the batter (albeit, an egg batter), the resting process, and using a sliding spaetzle maker, then sauteing the spaetzle, which I didn't do, but it's an option. She also adds chopped herbs to her batter, which is a nice idea. My first batch of vegan spaetzle, made with my improvised device-- this batch was made with unbleached white flour. It fits over the pot and you scrape the batter through the holes with a bench scraper. 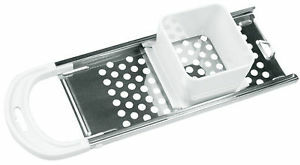 A metal steamer with similar holes would work as well. For images of even more spaetzle makers (both commercial and improvised), do a Google image search for "Pinterest spaetzle makers". 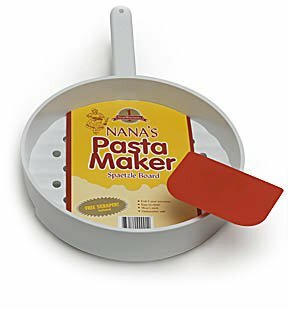 See serving suggestions at the end of the recipe, and see above for information on inexpensive and improvised Spaetzle makers. PS: "White whole wheat flour" is whole grain flour-- the only difference is the lighter color and milder taste. 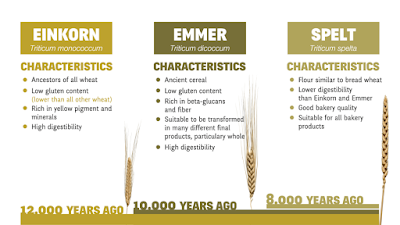 If it comes from hard white wheat, it's good for making bread and noodles. If it comes from soft white wheat, it's a pastry and cake flour. I have seen a recipe or two using spelt flour, but I haven't tried that yet. 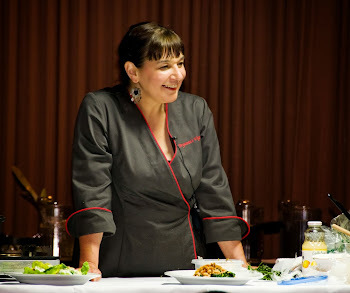 Tip: Play around with adding herbs to the batter or using pureed cooked vegetables in place of some of the milk. Whisk the flours and salt (and optional pepper) together in a small bowl. Pour the milk into a medium bowl and whisk in the flour mixture until smooth. It should be like a thick pancake batter. Beat it until it gets kind of "gluey". 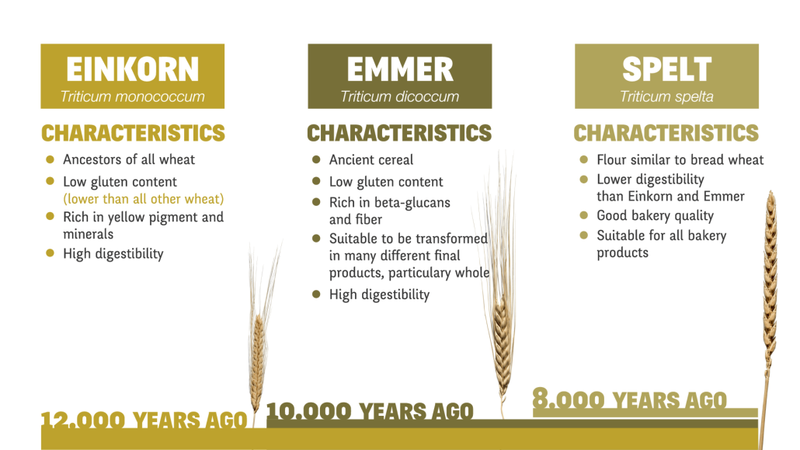 This is to develop the gluten. Now, cover it and let it rest for about 30 minutes. When you are ready to cook the Spaetzle, have the large pot of water boiling and whatever apparatus you are going to use to make the Spaetzle. Place some batter into the receptacle and slide, turn or push the batter through, depending on which kind you are using. As soon as the Spaetzle float to the top, scoop them out with a slotted spoon into a colander and continue until all of your batter is used up. The simplest way to serve them is coated with the melted vegan butter or a tasty oil and serve them as-is with a vegan stew or hearty sauce. You can sauté them a little in the vegan butter or oil of your choice. You could let them cool and use them in a casserole, as you might with ordinary pasta. You can bake them with vegan cheese. Let your imagination take flight with these "little sparrows". 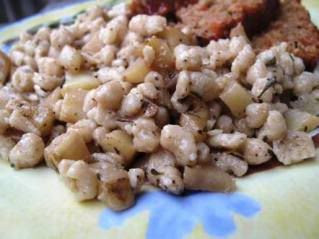 Another I want to try is Swiss Apple Spaetzle. (Here's a non-vegan recipe for that, but you could make it vegan by using apple juice instead of 1 cup of the non-dairy milk, and vegan butter). 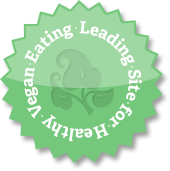 In my post about making raw hemp milk, I mentioned using the soymilk maker to make a hemp milk that wouldn't separate so easily. I tried several batches before I got it to my satisfaction-- the results are below-- and it, indeed, does not separate as easily as the raw version. But it does eventually separate after standing in the refrigerator for a day or so. However, you can shake it up and it's just fine. 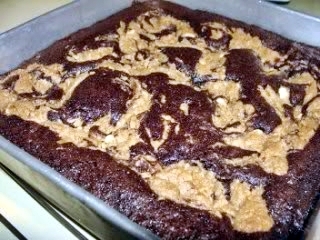 I had a little accident with one batch that I made, but, never one to waste food, I salvaged something good out of it! You can see that tale below the milk recipe! This is a nice mild nondairy milk. You need the filterless SoyQuick Premier Milk Maker 930P to make this milk. 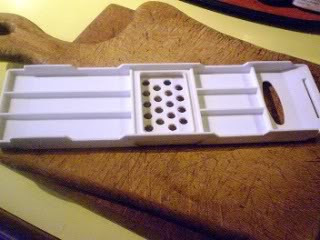 Add water , hemp seeds, and oats to the Soy Quick container. Attach the rest of the machine, plug in and press the "Multigrain" setting. You'll see a residue or hemp seed and oats on the blade protector, etc. and pour the milk through a cloth inside of a colander placed over a pot (sterilize all equipment with boiling water). Let it drain and then pull up the sides of the cloth, twist and squeeze until all the milk is in the pot and you are left with a small residue on the inside of the cloth (discard that). Stir in the sugar and salt, pour the milk into a scalded glass jug or canning jars, cap tightly, and refrigerate. The hemp milk will probably separate after a day or so-- just shake it up before serving. Nutrition (per 1/2 cup): 70.1 calories; 46% calories from fat; 3.7g total fat; 0.0mg cholesterol; 91.5mg sodium; 4.9mg potassium; 5.2g carbohydrates; 0.5g fiber; 2.1g sugar; 4.7g net carbs; 4.2g protein; 1.6 points. OKAY, SO WHAT ABOUT THAT "ACCIDENT"? This would probably not be worth doing on purpose very often, as the yield is meager and it would be fairly expensive. But it was certainly good! I love just about anything with peanut butter and chocolate together, and these brownies (actually pretty low in fat) are no exception. They are dark and rich-tasting. (If you are allergic to peanuts, substitute another tasty nut butter-- I would suggest roasted hazelnut butter.) These are easy to make! In a small bowl mix together the oil and boiling water, then whisk in the sugar until dissolved. Whisk in the cocoa, vanilla and orange zest until well combined. Set aside. Place the 1/4 c. water, flax seeds (or ground flax) and egg replacer in a blender or mix with a stick/immersion blender . Blend on high for several minutes, until the mixture is “gloppy” like slightly beaten egg whites, with little brown flecks of flax skin throughout. Fold this into the cocoa mixture. In a small bowl, mix together the flour, baking powder, salt and nuts. Add the flour mixture to the cocoa mixture and stir briefly. 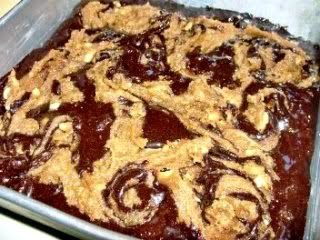 Mix up the Peanut Butter Swirl mixture. 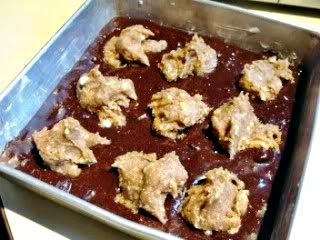 Drop the mixture in 9 small “blobs” evenly spaced over the brownie batter. Swirl the peanut butter mixture through the batter with a knife, as if making a marble cake. Cool on a rack (yes, you have to wait! 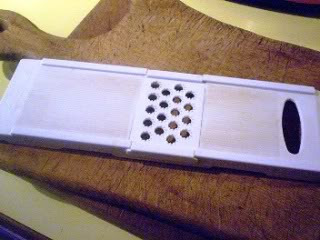 ), then cut into 16 squares. Nutrition (per square): 165.6 calories; 34% calories from fat; 6.8g total fat; 0.0mg cholesterol; 61.7mg sodium; 202.5mg potassium; 25.7g carbohydrates; 2.3g fiber; 18.4g sugar; 23.4g net carbs; 3.2g protein; 3.4 points. EAGLES, ORCAS, VEGAN ANCHOVY SUB, AND OUR FAVORITE FAST MEAL! Above is a series of 3 photos that my husband, Brian Grogan, took last Wednesday when we went for a walk on the south end of our home island, Denman Island, BC, at Boyle Point and Eagle Rock. The herring run is happening now and lots of wildlife about. We could just make out the sea lions congregating on a little uninhabited island off of Hornby Island, the next island over. We could hear them barking, and then a deep, rumbling sound that got louder as we got closer-- it was the bulls roaring! These eagles were on a tree just down from where we were standing. Something really exciting happened on our way to go shopping on Saturday-- when we were on the ferry there was a pod of Orcas making it's way up Baynes Sound (which separates us from Vancouver Island), no doubt eating herring along the way, and cavorting in the water. I have never seen Orcas firsthand, so it was pretty exciting! Twice, a big one jumped vertically out of the water, showing his or her white belly. We could see a huge dorsal fin sticking up out of the water in the distance-- must have been the Grampa of the group! Unfortunately, we didn't have cameras! It was a fun ride-- the captain went really slowly and everyone on the boat was out of their cars crowding to the railings to watch. Everyone was excited and grinning and it felt very good! Below is a good example of this usage, a recipe that I pull out when I want a tasty, satisfying meal but have only 10 or 15 minutes to throw it together! I usually have everything already, so all I need is a salad. 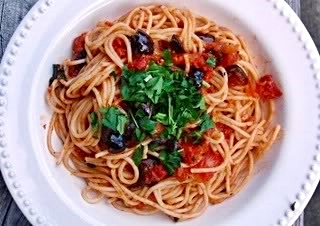 It's a pasta with a naughty name and a possibly dodgy history, but, oh, it's good! This dish with the unrefined name "Spaghetti in the manner of a prostitute" is exceedingly popular-- and so-named perhaps because the “ladies of the night” made it quickly when they had a chance. Anchovies are replaced by miso in this vegan version. NOTE: This pasta dish is traditionally not eaten with cheese, so don’t worry about a substitute. Put on a large pot of salted water to boil for the pasta. Pour the drained tomatoes (if using canned) into a bowl and “squish” them up, or break them up, with your fingers. Mash the miso in a small bowl with some of the sauce, then add it back to the sauce and stir well. Taste for salt and pepper. Add the drained pasta, toss well and cook for a minute. Sprinkle with parsley and serve immediately. Nutrition (per serving): 415.4 calories; 23% calories from fat; 11.1g total fat; 0.0mg cholesterol; 711.7mg sodium; 480.2mg potassium; 68.4g carbohydrates; 4.1g fiber; 6.6g sugar; 64.3g net carbs; 11.7g protein; 8.4 points. The first recipe is for a very rich, creamy milk that could also be used like cream. It's fairly high in calories. The second recipe is a variation of that recipe, with half the calories and fat, but a nice light beverage. I hope you'll give it a try (maybe in one of the extra recipes that follow)-- it's easy and delicious. This recipe produces a creamy, pleasant-tasting, rich white milk (or a light creme) with very little effort. When you strain it, there is very little residue-- just the green covering on the seeds that was left behind. I add some sweetener and salt so that it tastes more like dairy milk, which naturally contains sugar (milk sugars) and sodium. This is a raw milk, so it must be used within a few days, and it needs to be shaken before use. You can double the recipe if you can use it up in that time. For a longer-lasting milk, you can make it in a soymilk maker that can be used with grains and seeds, such as the SoyQuick Premier Milk Maker 930P. OR you can use a "nut milk bag"
Place the strainer or sieve inside of a pot or bowl, so that it rests on the edge and there is enough room underneath it to hold 3 cups liquid with some room to spare. Place the water and shelled hemp seeds in the blender and blender on high speed for about 2 minutes. Pour the blended mixture into your strainer set-up. Let it drip for a few minutes, then bring the cloth up and twist it, squeezing and twisting and "milking" the cloth gently until all of the liquid is released. You should be left with a thin coating of greenish pulp on the inside of the cloth, which you can rinse off. To the rich hemp milk in the bowl or pot, add the agave nectar and salt and whisk until dissolved. Pour the rich hemp milk into the jar, cover and refrigerate. The milk will separate in the refrigerator-- just shake the jar well before using. Nutrition (per cup): 221.3 calories; 53% calories from fat; 13.1g total fat; 0.0mg cholesterol; 174.7mg sodium; 0.0mg potassium; 11.8g carbohydrates; 1.3g fiber; 3.8g sugar; 10.5g net carbs; 14.7g protein; 5.2 points. This is a pleasant-tasting, light, white milk for drinking and cooking. Place the strainer or sieve inside of a pot or bowl, so that it rests on the edge and there is enough room underneath it to hold 6 cups liquid with some room to spare. Place the first 3 cups water and shelled hemp seeds in the blender and blend on high speed for about 2 minutes. Pour the blended mixture into your strainer set-up. Let it drip for a few minutes, then bring the cloth up and twist it, squeezing and twisting and "milking" the cloth gently until all of the liquid is released. You should be left with a thin coating of greenish pulp on the inside of the cloth, which you can rinse off. To the hemp milk in the bowl or pot, add the second 3 cups of water, the agave nectar and salt,and whisk well. Pour the hemp milk into the jar, cover and refrigerate. The milk will separate in the refrigerator-- just shake the jar well before using. Nutrition (per cup): 114.7 calories; 51% calories from fat; 6.5g total fat; 0.0mg cholesterol; 168.1mg sodium; 0.0mg potassium; 7.2g carbohydrates; 0.7g fiber; 3.2g sugar; 6.5g net carbs; 7.3g protein; 2.7 points. Mix your sweetener in a coffee cup with the hot espresso. Pour in the hot hemp milk, stir and enjoy! Nutrition (per serving): 59.5 calories; 58% calories from fat; 3.9g total fat; 0.0mg cholesterol; 79.3mg sodium; 260.8mg potassium; 3.5g carbohydrates; 0.5g fiber; 3.0g sugar; 3.0g net carbs; 2.8g protein; 1.4 points. Blend everything in a blender until smooth. Serve immediately. Nutrition (per serving): 222.1 calories; 24% calories from fat; 5.7g total fat; 0.0mg cholesterol; 90.9mg sodium; 385.3mg potassium; 38.0g carbohydrates; 3.6g fiber; 29.5g sugar; 34.4g net carbs; 5.2g protein; 4.2 points. This vegan mayonnaise is smooth, rich-tasting, and creamy, and a little tangy, but not too much. It is nice and white in color, too-- no green tinge from the hemp oil, surprisingly! NOTE: Don’t add the guar or xanthan gum to Mixture B until JUST before you add Mixture A, NOT with it. 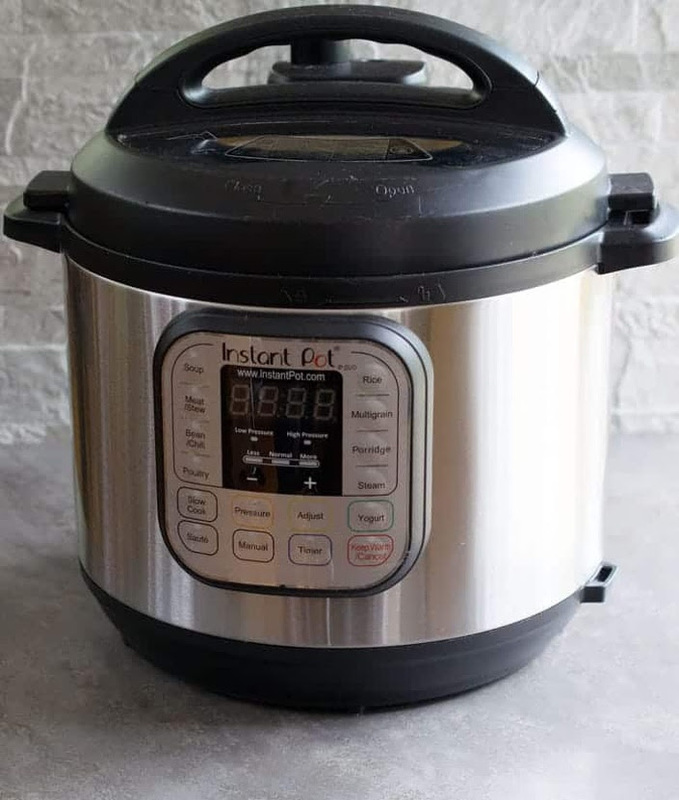 In a small saucepan (if you are going to cook it on the stovetop) or in 2 cup microwave-safe bowl (if you are using the Microwave Method, below), mix together the water, and agar powder. Let the mixture soak for a few minutes. While the agar soaks, place the Mixture B ingredients, the hemp milk, vinegar, oil, salt, and dry mustard, in a blender (preferably) or food processor or container you are using with your hand/immersion blender. NOTE: Don’t add the guar or xanthan gum to Mixture B until JUST before you add Mixture A, NOT with it. Set aside while you proceed with Mixture A.
Whisk the cornstarch into the soaked agar mixture. Whisk the mixture together well. 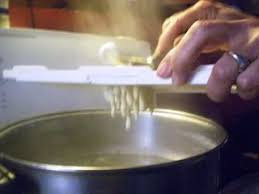 The Stovetop Method for Mixture A: Stir it constantly over high heat with a whisk at first, and then a wooden spoon, until it is very thick and translucent. NOTE: If you don't cook Mixture A thoroughly (and "translucent" is the key word), the mayo won't thicken properly. Add the guar or xanthan gum to Mixture B in the blender, food processor or container you are using with your hand/immersion blender, and then the Mixture A on top of that. NOTE: Make sure to scrape the bottom of the pot or bowl with the whisk, so that no cornstarch gets left at the bottom. Scrape the mixture into a clean pint jar, cover and refrigerate until it is set. Keeps about 2 weeks. Nutrition (per tablespoon): 26.6 calories; 73% calories from fat; 2.2g total fat; 0.0mg cholesterol; 94.1mg sodium; 2.3mg potassium; 1.3g carbohydrates; 0.1g fiber; 0.1g sugar; 1.2g net carbs; 0.5g protein; 0.7 points. Use 1 teaspoon mustard powder, and add 1 tablespoon lemon juice and 1 tablespoon organic sugar or agave nectar to the recipe (sugar levels in this type of recipe vary, so start with this and then let your taste dictate).